I shared the first small print run of Wildflower Spirit Journey with my family and my students. Now, I’d like to do a larger print run of about 100 books so that I can share this book with my clients and blog readers, so I’ve started a crowd-funding campaign! I need to raise $3,000 to print both the books and the accompanying card sets I’ve created. The initial prototypes have been very popular with my students in particular, who love being able to shuffle and select a card at random, while asking which flower spirit might be able to support them with healing, and then referring to the book for more information. 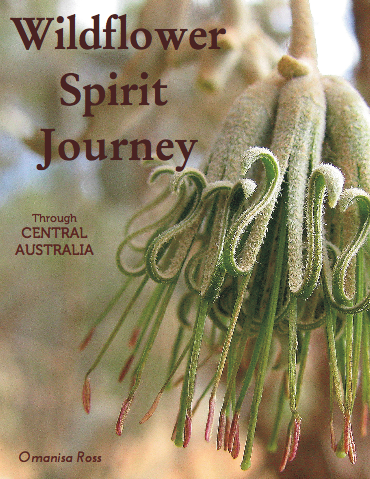 This book will appeal to anyone with an interest in spirituality, nature, flower essences, flower photography, family history, remote Australia and/or healing. If you would like to learn more about the crowd-funding campaign, please click HERE.